It is almost New Year’s Eve. Do you know what you really want? A glass of champagne, a big kiss, a facelift....no, that isn’t what I mean! Yes, it is time for that self reflection that comes when we are faced with a shift in the calendar. 2019 starts in two days and many of us are thinking about how we will be different in the new year. Isn’t it fun to think of starting fresh? 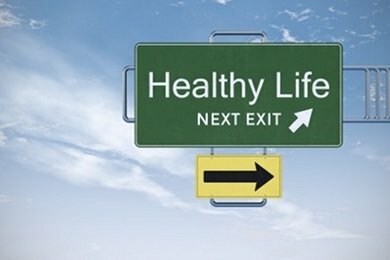 I’m guessing that if you read this blog, you are thinking hard about how to be healthier. I’m also thinking that the last couple of weeks have made you feel like a Christmas cookie (okay, maybe it is just me that feels like a Christmas cookie). What I want you to do is to type in your resolution in the comment section below. Hey, you are already reading this, so you might as well take a minute and tell the world what you REALLY want out of yourself this year. Eat more fruits/vegetables every day. Do a better job taking care of myself. This is what I want to work on for the year. I tried to make them all positive. For example, I could have written “Stop speaking lousy Spanish that no one understands”. Every year I write down some resolutions and I am always amazed that some of them actually happen. I will leave this post up and then you can look at what you wrote December 30th, 2018. I can’t wait to see what you guys write. I am sure you will inspire me. How about you? Please type your New Year’s resolutions in the comment section. Deepen my relationship with God. Begin work on organizing pictures. I am retiring this year so I am wide open! Try to be kind to others. I'm not doing resolutions this year. I've chosen a one word theme "Broaden" and hope to apply this to every area of my life except my bottom. Thank you for your blog. I love the recipes and the reflections. My mother passed away last Christmas. I spent the better part of the year feeling as though there was a weight sitting on my chest. I want to breathe again. Continue excercise and healthy eating . The only thing that I am going to try to change in 2019 is to make healthier choices when ever possible. I’ve tried the dieting, it does not work once you stop the “dieting” You regain whatever weight you lost. Also I have a very bad back and bad hips I will also find a way to be more active and not using those excuses not to move more.